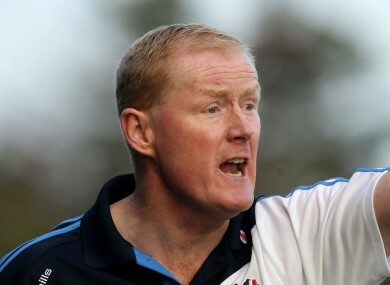 The coach has played a vital role in helping the Dublin side achieve success since he took over in 2008. Stakelum believes Daly will stay on as manager. DUBLIN BOSS ANTHONY Daly is likely to stay on as manager, according to selector Richie Stakelum. Speaking to the Irish Daily Mirror (print edition), Stakelum said there would be “a massive incentive” for Daly to continue. Despite losing their All-Ireland semi-final against Tipperary last Sunday, Dublin had a highly successful year by their standards, winning the Walsh Cup and reaching the Leinster Senior Hurling Championship final. However Daly, who has played an integral role in the team’s success, has yet to give a definitive answer as to where his future lies. The manager has helped rejuvenate the side since taking over in 2008, but currently only has one year remaining on his contract. However, Stakelum has sought to reassure fans by saying that he expects the Clare-born manager to stay with the side. Stakelum also explained that the Dublin coaching set up is “a package deal”, and that if Daly departs, the rest of the Dublin coaching staff will be required to follow suit. Stakelum, who is a Tipperary native, also said he expects the county to defeat Kilkenny in the All-Ireland final on 4 September. Poll: Who’ll win the All-Ireland Hurling final? Email “Stakelum expects Daly to continue as Dublin manager”. Feedback on “Stakelum expects Daly to continue as Dublin manager”.